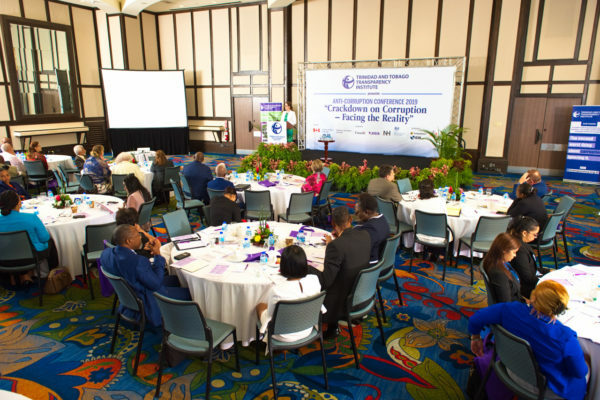 On behalf of the Board of Directors of the Trinidad and Tobago Transparency Institute and Transparency International, it is my pleasure to welcome you to our 2019 Anti-Corruption Conference. This year’s Conference is on the theme “Crackdown on Corruption – Facing the Reality”. 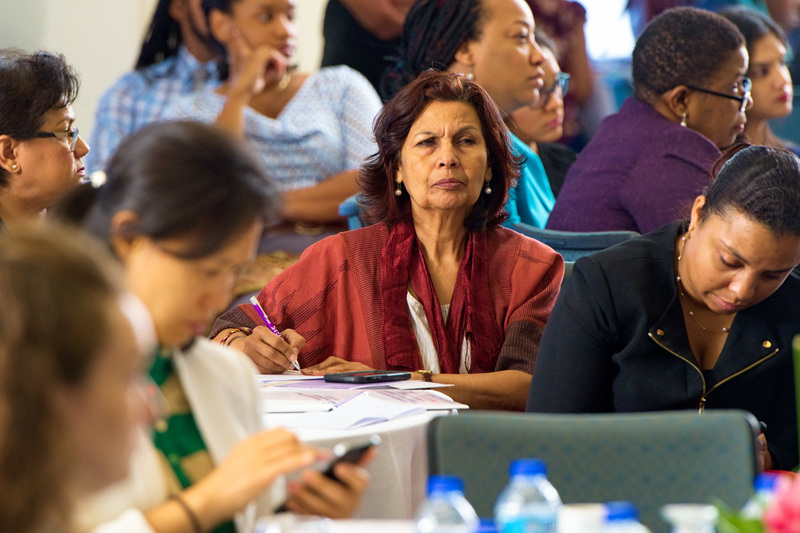 This year marks the 21st Anniversary since the Trinidad and Tobago Transparency Institute was conceived. We are a non-governmental, non partisan organization. We volunteer our time, energy and resources in the pursuit of good governance and the fight against corruption. 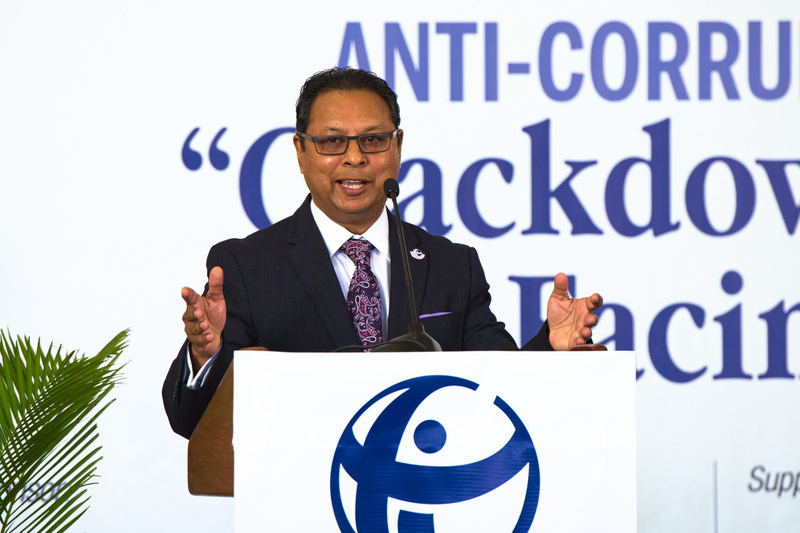 Transparency International is the leading civil society organization fighting corruption worldwide and TI is also recognizing twenty-five (25) years of existence at this time. Peter Eigen, Transparency International’s founder said recently in a comment to mark the 25th Anniversary that “the need for anti-corruption work will not end overnight and in a dynamic global movement such as Transparency International, we have the ability to find the right balance between cooperation and confrontation for the challenges ahead”. Peter Eigen highlights the reality in the fight against corruption – the need for strategy, the need for stamina. There are no shortcuts we are in this for the long haul. Our headlines twenty one (21) years ago and even now challenges us to deal with the reality that Corruption and Governance issues seem to threaten the very fabric and well-being of our society. I read somewhere that Corruption is the anti-thesis of a Democratic Society. Maybe so but whether it is gas stations or airports, fake mail or fake oil, hospitals or hotels there seem to be no end to the daily assault on our senses, real or perceived. Why can’t we put to rest this many headed hydra called corruption? The visionary people who set up our national movement tied it to the global one, TI. I speak in particular of Reggie Dumas, Frank Clarke and later Boyd Reid, Victor Hart, Richard Joseph, Deryck Murray. The vision locally and nationally was the same then and now, a world free of corruption. Today we are all part of the vision “Together against Corruption”. As we move forward, we must recognize that the landscape has changed from what it was, corruption has become a shape shifting, not easily recognizable, multi-dimensional phenomena. Transparency International defines this nebulous phenomena, corruption as “ an abuse of entrusted power for private gain”. And even that definition struggles to capture all the manifestations of corruption. Let me highlight a couple areas of our work which we believe will influence the reality. At Transparency, we recognize that to influence the outcome twenty one (21) years from now, we must influence those who will be adults and leaders twenty one (21) years from now. To that end, together with our partners the NPTA, TTUTA, MOE we have launched iClubs in six (6) Secondary Schools, trained Students and Teachers. This is a demanding but worthwhile Project which is under the personal direction of our Vice Chair – Martin Farrel. We will work hard towards its success and more importantly its sustainability. It is an investment in the future. Today we will recognize as part of this project some of the students who took part in an anti corruption essay competition coming from the schools of our pilot project. We also recognize the need to change the narrative of our advocacy to include private sector on our radar. We need to address the two (2) sides of the coin if we are to influence the outcome in the next twenty one (21) years! To this end, in partnership with the ALJBS we are one of only thirteen (13) Chapters of Transparency International involved in a Business Integrity Country Agenda Project. After a flurry of surveys, interviews and reviews the TT BICA Report is now completed and will be launched this afternoon. This Report will be the basis for our future work with the private sector addressing issues such as governance and their procurement practices. Transparency International Brazil has already launched their Report and Ms. Claudia Sanen from TI Brazil is here with us to share the Brazilian experience. As I look back, a lot has been done but there is still a lot of work to be done. Many years have been spent in the vineyard for example, lobbying and advocating with our civil society partners for new Procurement legislation. We have travelled far on this road with the fairly recent appointment of the Procurement Board and the Regulator, Mr. Lalchan. We are still, however, to complete the last mile of this excruciating marathon. The foregoing notwithstanding, let me touch upon a deeper issue which has occupied my thoughts for some time – and perhaps yours as well. How can we truly influence the reality or at least the perception of corruption in a meaningful and sustainable manner. That is, how can we deal with the cause and not just the symptoms? 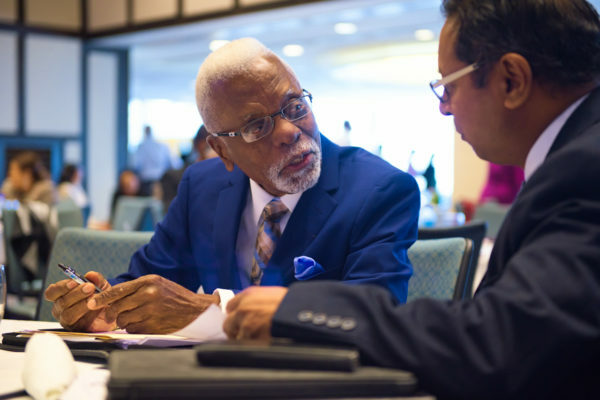 A couple of years ago I was involved with Transparency International in the conduct of a National Integrity Survey in the Caribbean. 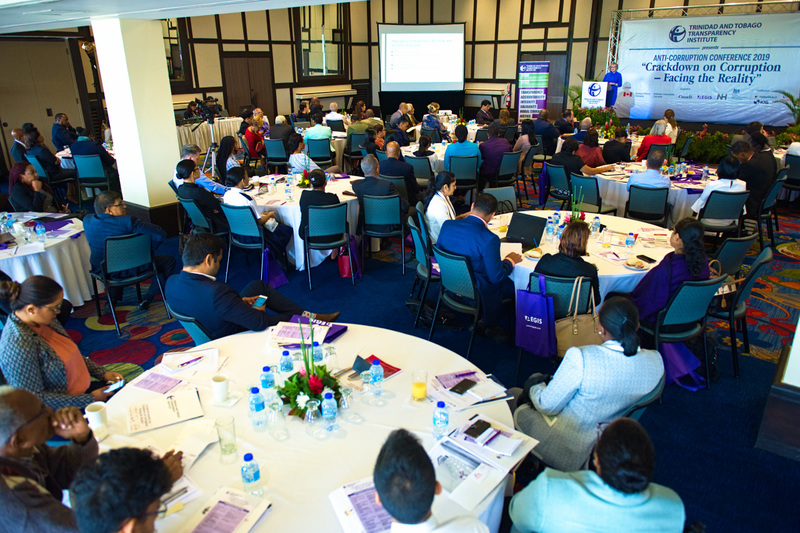 In our Caribbean Network Outreach Programme as well, I had cause to analyse and review the reason for the consistently good performance of the Nordic Countries in the Corruption Perceptions Index as compared to us and our neighbors. At the same conference, Dr. Ngozi Okonjo – Iweala, a former Minister of Finance in Nigeria underscored, from her practical experience of fighting corruption in Nigeria, the need to strengthen and build confidence in the civil service, the need to build confidence in the institutions. 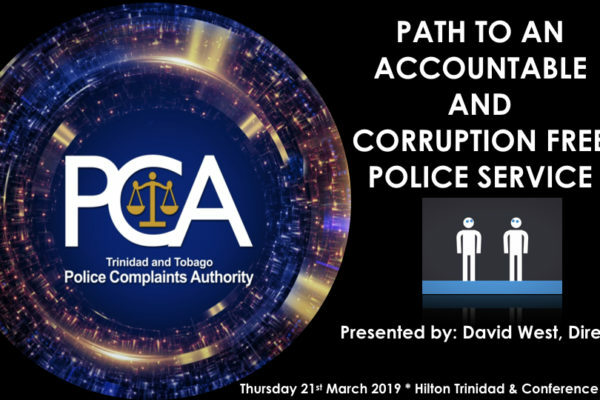 Ladies and gentlemen, from Campaign Financing, Beneficial Ownership Disclosure, Money Laundering and Corruption in Sport to the Integrity Commission and Land and Surveying Fraud our speakers today will share their insights, experiences and recommendations on what is required to successfully crackdown on corruption and influence our daily reality. I wish you an enjoyable and productive conference.